The GEF’s Policy on Gender Equality, adopted in 2017, marks GEF’s increased ambition to collaborate with governments, the private sector, and civil society to catalyze projects and actions that have the potential to materialize greater environmental impact through gender-responsive approaches and results. Photo: Pierre-Yves Babelon/Shutterstock. On International Women’s Day, GEF is celebrating women’s unique role in and contribution to safeguarding the global environment. Addressing inequalities in areas like control over natural resources and participation in decision-making contribute to greater gender equality, help women play more substantial roles in environmental sustainability, and ultimately strengthen environmental projects. Women depend on and are direct users and stewards of natural resources, and in areas such as energy and food systems, women farm and produce most of the world’s food supply. Yet, they own less than 20% of the world’s land, lack equal rights to own land in more than 90 countries, and commonly face more barriers than men to access markets, capital, training, and technologies. Women also remain unrepresented in decision-making spheres at all levels. To come up with meaningful solutions to environmental challenges, governments, national organizations, and international institutions, including the GEF, need to use gender-responsive approaches that ensure the voices of both women and men are heard as participants and leaders in environmental policies and projects related to conservation - from improving resource productivity and enhancing ecosystem management to creating more sustainable energy, water, and food systems. 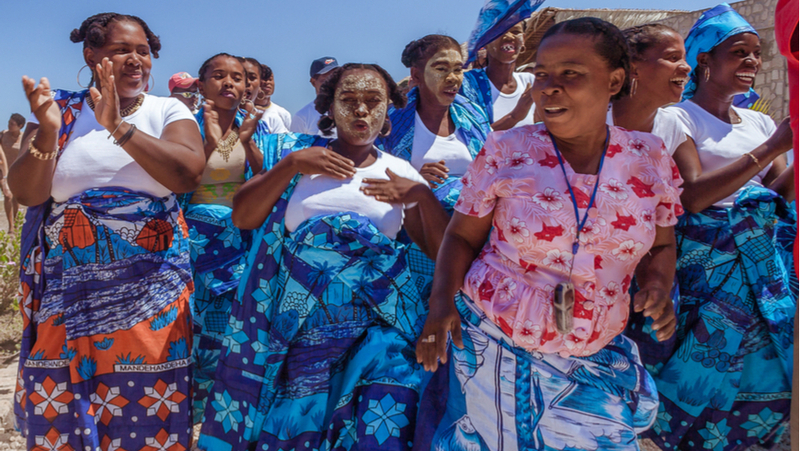 The GEF’s Policy on Gender Equality, adopted in 2017, marks GEF’s increased ambition to collaborate with governments, the private sector, and civil society to catalyze projects and actions that have the potential to materialize greater environmental impact through gender-responsive approaches and results. Women and men play different roles in managing and securing their livelihoods and use their natural environments in different ways. For example, in a Conservation International (CI) project in Liberia designed to protect the mangrove forests, the GEF’s gender policy encouraged CI to look more closely at men and women’s different needs to better understand how they were using the forests’ resources. With this gender-responsive approach, CI worked with both men and women on addressing the issues of unregulated fishery as well as unsustainable fuelwood harvesting that were threatening the vital mangrove ecosystems. As a result, men – the fishers of the community – switched to deep-water nets fishing as a more profitable and sustainable alternative to the problematic over-fishing in shallow waters. Women, who were primarily responsible for processing and marketing the fish that men catch, adopted eco-stoves which increased the efficiency of wood to smoke fish so that less would need to be harvested and burned. Learn more about this CI-GEF Liberia project in the GEF blog. In close collaboration with its Agencies and the GEF Gender Partnership, GEF is developing tools and resources to catalyze projects and actions that have the potential to materialize greater environmental impact through gender-responsive approaches and results. GEF Guidance on Gender Equality provides detail on practical steps and actions needed to ensure gender-responsive design, implementation, and monitoring of GEF programs and projects. “Open Online Course on Gender and Environment,” another crucial resource, was launched last year. This e-course is the result of an initiative led by the GEF and the GEF’s Small Grants Programme (SGP) in collaboration with the GEF Gender Partnership and UNITAR, involving International Union for Conservation of Nature (IUCN), UN Women, UNDP, UN Environment, and the Secretariats of the Multilateral Environmental Agreements that the GEF serves, including the Convention on Biological Diversity, the United Nations Framework Convention on Climate Change, the United Nations Convention to Combat Desertification, and the Basel, Rotterdam and Stockholm Conventions, among others. The learning resource is a free “one-stop-shop” for understanding the many gender dimensions of environmental work. The six modules of the course cover issues of biodiversity, climate change, land degradation, international waters, and chemicals and waste. The course is accessible to anyone who is interested in learning more at UN CC:e-learn’s platform. Translating GEF’s new policy on gender equality into concrete actions that promote gender-responsive approaches has inherent value in improving gender equality and environmental results in the communities and landscapes in which GEF works. Gender-informed projects are better equipped to increase women’s access and ownership of natural resources, and advocate for more representation of women in environmental decision-making and leadership roles. These projects often include more targeted investment in training and capacity-building that improves women’s ability to earn an income in ways that lead to sustainable management of natural resources. The GEF believes that investing in women and building greater gender equality will have significant positive impacts on environment sustainability worldwide. For this reason, the GEF is working to make sure that our future projects are inclusive and gender-responsive. This effort involves actions on many fronts, such as promoting an equal voice in planning and decision-making among key actors, and creating opportunities for both women and men to develop and support sustainable energy, food, and urban solutions. Test your knowledge below and learn the facts behind the numbers with a sample quiz from our Open Online Course on Gender and Environment.